C4500 bucket truck with 37 ft. platform height articulating bucket. 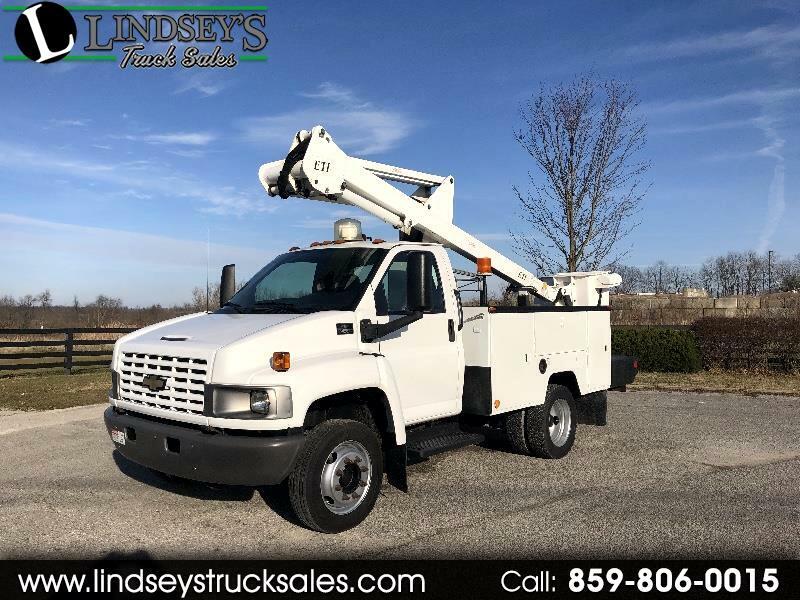 Fleet maintained unit with 8.1L V-8 engine -- automatic transmission -- dual rear wheels -- service body -- bucket seats -- AM FM stereo -- upper and lower controls -- current inspection sticker -- good tires. Truck does not have AC and does have some rust in the boxes as most 2005 year trucks do but runs out strong. Drove in 4 hours so we know it is road worthy. 43 ft. working height on the bucket. These are hard to find units in this price range so get it while you can! Message: Thought you might be interested in this 2005 Chevrolet C4C042.